I’m not entirely comfortable saying that this episode might be the best of the post Matthew era just yet, but I think there’s a good chance it might be. After last week’s mediocrity, I would have laughed if that thought had been presented before. Downton Abbey has always been a show about change and it’s been at its best when it embraces it. Part of the reason why the reception for series four and five has been lukewarm is that the most of the characters were kept in an awkward holding pattern with no clear direction. The reason for this high praise is simple. We all know the end is coming. With only nine episodes in a series, the show does need to establish where it’s going, but t hat doesn’t mean it needs to be the only thing that matters. I initially rolled my eyes at the Drewe subplot as I thought it was harmful to Edith’s bigger picture storyline at the newspaper, which I highlighted as the strongest aspect of last episode. Once again, the Edith plot was the best part of the show. It worked so well because it didn’t try to shy away from the fact that the Crawley’s have completely screwed over the Drewe family. I was prepared to slam the whole episode until Lord Grantham addressed the rather large elephant in the room. The Drewe’s did Edith a huge favor last season and they’ve been repaid by having their whole lives completely uprooted. This kind of aristocratic injustice has been quite rare over the course. It took guts not to sugarcoat the terrible situation. The Daisy storyline also progressed well. It’s clear that Daisy is going to go work with Mr. Mason and the show can’t afford to lose her this early on, so there’s no need to rush. Mrs. Patmore once again served no other purpose than to be involved with other people’s sexual affairs, this time hinting that Barrow should avoid another Jimmy incident. One thing that really bothered me was Carson’s coldness to Barrow over his interview. He treated him with pure contempt that made no sense whatsoever. We’ve seen little over the course of the show to suggest that Carson likes him, but Barrow has been under butler for five years now. There’s no way he would stay at Downton if his boss treated him like that on a daily basis. Barrow’s interview was a little clunky as well. He knows the world is changing. Vocally expressing disdain for the workload involved with being an “assistant butler” was foolish. I wasn’t a huge fan of the homophobic butler and didn’t really see the need to make him dislike Thomas for that reason. We know Barrow’s entitled and the butler could simply dislike him for his words rather than his sexuality. I do wish Molesley could have more of a plotline. His humor won him a regular role on the show, but his sincerity was what won him the viewers’ hearts. There can never be enough Molesley and he should be awarded a spinoff. Not a big Andy fan. He’s essentially a blander Alfred, which I didn’t think was even possible. 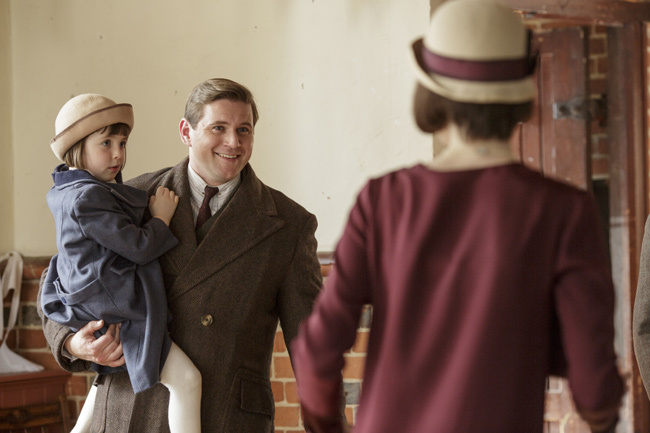 I like that he’s at Downton, since the show benefits from having a young person in the house, but I never feel like I need to see more of him. I suspect that he’s gay and will eventually have some fun with Thomas so I’m okay with him doing absolutely nothing until then. No Spratt or Denker. It took me a series to forgive Spratt for sabotaging Molesley’s shot at a dignified job, but he’s grown on me. He was probably in the kitchen critiquing Denker’s broth. I criticized the hospital plotline last week because I thought it was too repetitive. It worked in this episode because the show was able to convey Violet and Dr. Clarkson’s passion without making them sound like power hungry elitists (though Clarkson is middle class). People don’t like to give up control and they’re not necessarily at fault for being reluctant here. The ability to control one’s healthcare is still an issue in the year 2015. This isn’t necessarily an instance where Isobel and modernity are completely in the right. The Carson/Hughes wedding reception debacle was quite strong and showed a different side to Carson’s reverent idolization of the Crawley’s. Mrs. Hughes and Lord Grantham were essentially on the same page in acknowledging that while Carson/Hughes belong at the house, that’s not how they belong. My only real complaint is that there wasn’t enough time spent justifying Mrs. Hughes position. We can accept that she feels out of place, but the schoolhouse simply wasn’t a good alternative. Like the hospital, it’s a case where the battle lines are a bit murky, but in this case, but Hughes just doesn’t look like she’s trying hard enough to express her feelings to Carson. The low point of the episode is unsurprising. I hate the Bates so much I don’t even want to write about them. They makes frequent mentions of their suffering and do nothing about it. Why can’t they do anything besides be depressed? I wish Bates would drown in the pond he threw his leg brace into so Molesley could have his job. Despite some criticisms, this was a very strong episode. The show felt more alive than it has in years. As long as they stay away from the Bates and murder, this should turn out to be quite a good final series. Between the Mr. Green murder resolution and the Carson/Hughes/Patmore game of sexual telephone, I couldn’t help but wonder if Fellowes was trying too hard to appease the masses. The Green saga has been frequently singled out as the show’s worst storyline and fans have been clamoring for a Carson/Hughes romance for years now. I can’t say I’m disappointed that Fellowes has decided to give the people what they want, but his writing left a lot to be desired. I’m not completely surprised that someone like Mrs. Hughes would be uncomfortable discussing coitus with a man, even if it was her future husband, but Fellowes took it too far by actually having Mrs. Patmore talk to Carson. The whole thing went from an awkward joke to an equally clumsy attempt at sincerity. It felt sort of like an excuse to give Patmore something to do as involving her felt both forced and ridiculous and it robbed the story of much of its emotional impact. Unsurprisingly, much of the episode revolved around change. Barrow’s plotline was my second favorite of the night. He’s in a pretty rough position. He’s not old enough to retire like Carson and not exactly young enough to completely switch professions either like Andy. As an under butler, he would also be at a disadvantage competing for job opportunities against trained butlers who might find themselves in the situation Spratt almost believed he was in. I liked how Thomas didn’t immediately resort to malicious scheming after he learned his job was in jeopardy. I wouldn’t be surprised to see this happen in the next few episodes, but it’s nice to see Barrow evolving as a character. He certainly deserves more after all these years. Speaking of Andy, his introduction is mildly puzzling. Given the shortage of background servants, it makes sense that they introduced him if for any other reason than to occupy space. I don’t really care that he wasn’t given much to do. I didn’t love the “don’t trust Thomas” retread, but it wasn’t a major plot point either. Downsizing is inevitable, though I’m glad it’s not doing it under the pretense of “Downton is failing.” The Dowager was also right to bring up the issue of people losing their livelihoods, especially considering how the characters justified the necessity for Downton’s survival as a place of employment back in series three. It’s a case where you see both sides of the equation. My favorite storyline belongs to one of my least favorite characters. I thought Edith’s scenes were all perfectly done and I like the direction they’re going in with her character. Her romantic storylines have been far less interesting than her professional ones and it does make sense that she should move on from Downton, unless they want to replace Isis with 100 cats. I wasn’t too impressed with the Violet/Isobel hospital feud. It’s already been done before and with an episode that heavily dealt with change already, I found it hard to care. Very little of it felt organic. Which is explained by the scene where the Dowager lays down the law with Denker in front of Isobel. The hospital fight felt very reminiscent of series one. Even though the two have always been on opposite ends of the change spectrum, it still felt like a weird fight for them to have. The Daisy storyline was mostly good, though I wish they didn’t waste any time trying to get anyone to believe that Daisy would actually get fired. I suspect she will leave by the end of the series, but it seemed out of character for Carson to strongly suggest that she’d committed a “dismissible offense.” Carson may be a stickler, but he’s never fired anyone. The two who have been fired from Downton, Ethel and Jimmy, were sacked by Mrs. Hughes and Lord Grantham respectively (he did advocate for Thomas’ firing in series one, though he and his Lordship were on the same page. Edna technically left on her own accord). The blackmail was a bit of a shock. Mary’s affair with Lord Gillingham wasn’t exactly something I expected to see surface again, but it was handled well. 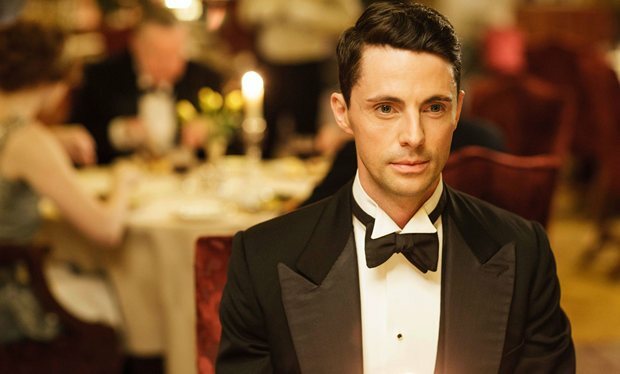 I was disappointed not to see Matthew Goode’s Henry Talbot in the episode. I suspect that Mary’s romantic endeavors will take a backseat to her managing the estate for the next few episodes. What to say about Molesley, the greatest character of them all? He wasn’t given much to do. I wonder how much he gets paid. He wasn’t mentioned as being a luxury when Lord Grantham mentioned Barrow’s position, which suggests that he’s paid like a footman. That’s pretty messed up given his age, training, and tenure in service to the Crawley’s. I’m really tired of the “Molesley as footman” joke. I understand that it’s necessary to keep him at Downton, but it’s not entertaining to watch how Carson treats him. He’s a grown man working a job meant for teenagers. The humor in that wore off a long time ago. Tom and Lady Rose’s absences were felt. Rose had plenty of crap storylines and Branson’s departure was a bit drawn out, but the house feels empty without them and the kitchen maids, even if the children are allowed downstairs now. We didn’t even see the single hall boy! All in all, I didn’t love this episode. It did what it needed to do, but the dialogue was a little rough around the edges and some of the storylines didn’t click as well as they should have. I do think it’s headed in the right direction, which is what really matters. While Downton’s finale has come and gone for much of the world, the fun is just beginning in America. Since Downton World has followed the British schedule, we’ve done all our recaps for series six already. After careful consideration, we’ve figured out the best way to provide our American fans with a spoiler free recap experience. For the duration of Downton’s American run, past recaps will be labeled as “UK Recaps” and can be found in their entirety in their own section at the top of the page. Each week, a recap will be added to the section “American Recaps,” which can be found of the main page. These recaps are the same as the British ones, but as they were done week to week, there will be no spoilers other than what had already aired up to that point.